The law pertaining to perfecting service upon a Defendant in a personal injury slip and fall matter was recently discussed in the Lehigh County case of Parsons v. Rose Valley Partnership, Inc., PICS Case No. 14-1715 (C.P. Lehigh Co. Oct. 3, 2014 Varricchio, J. ), with the end result being the Defendant’s Preliminary Objections being sustained and the Plaintiff’s Writ of Summons stricken and dismissed. According to the summary of the Opinion, the Plaintiff alleged personal injuries as a result of a slip and fall that occurred on May 6, 2011. The Plaintiff filed suit on May 3, 2013, three (3) days before the running of the statute of limitations. Thereafter, the Plaintiff filed a Praecipe to Reissue the Writ on May 17, 2013 and every month thereafter until the Complaint was finally filed on March 31, 2014. The record confirms that there was no attempt to serve the Defendants for approximately eleven (11) months. It was also established that the Plaintiff did not deliver the Writ of Summons to the Sheriff for service. Plaintiff’s counsel attempted to explain a way of delay by indicating that counsel needed more time to prepare the case. The defense argued in their Preliminary Objections that the Plaintiff did not make any good faith efforts to complete service of the Writ. The Plaintiff countered with an argument that the Defendants had knowledge of the suit by contact by the Plaintiff’s counsel’s office and the liability carrier. The Plaintiff also argued that there was no harm sustained by the Defendants in terms of their delay. 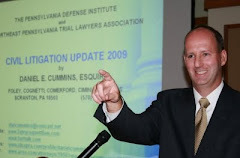 After reviewing Pennsylvania law requiring the Plaintiff to make a good faith effort to effectuate service of process in a timely manner beginning from the date the suit is originally commenced, and noting that the statute of limitations will only be tolled if the Plaintiff makes such a good faith effort, the court dismissed the Writ after finding that the Plaintiff had delayed for nearly two (2) years after the accident before filing the Writ three (3) days before the statute of limitations ran. Although there was no technically error committed by the Plaintiff under the Rules of Civil Procedure in terms of having the Writ continually reissued, the court noted that there was no effort made to serve original process within the first eleven (11) months without any reasonable basis being provided for failing to serve the Writ earlier than eleven (11) months after the running the statute of limitations. The court also noted that the Plaintiff had a nearly three (3) year head start to collect evidence, including photographs of the scene, pertaining to the subject incident. The court noted that there may have been substantial changes in the area of the alleged trip and fall such that the Defendants were indeed prejudiced by the time delay relative to the service. The court granted the Defendants’ Preliminary Objections and dismissed the Writ of Summons after finding that the Plaintiff failed to serve the Writ within the statutory period, failed to have the reissued Writs served, failed to deliver the Writs to the Sheriff for service, and otherwise failed to establish a good faith effort at service of the original process. Anyone wishing to secure a copy of this case may call the Instant Case Service of the Pennsylvania Law Weekly at 1-800-276-7427 and provide the above PICS Case No. and pay a small fee. "Did Your Attorney Refer You to that Doctor?"